The 2013 Vibram Hong Kong 100 trail ultra takes place on 19 – 20 Jan 2013. This is only the third year in the relatively short history of the event, but it has grown leaps and bounds and established itself firmly as one of the top ultras in Asia-Pacific. This 100km race was in the global spot light last year when Ryan Sandes demolished the field and established a new course record, getting the job done in just 9:54hrs, with all Top 10 finishers coming in under the 12hr mark. In line with global trends and an ever increasing popularity of ultra trail races, the HK100 grew from 200 participants in its inaugural year 2011, to 800 last year and a massive 1,270 this year – with another couple hundred people sitting on the waitlist. Race Directors Janet Ng and Steve Brammar, both experienced ultra endurance athletes clearly have established a very strong following and an event by runners for runners. The race sold out in just 48hrs this time. 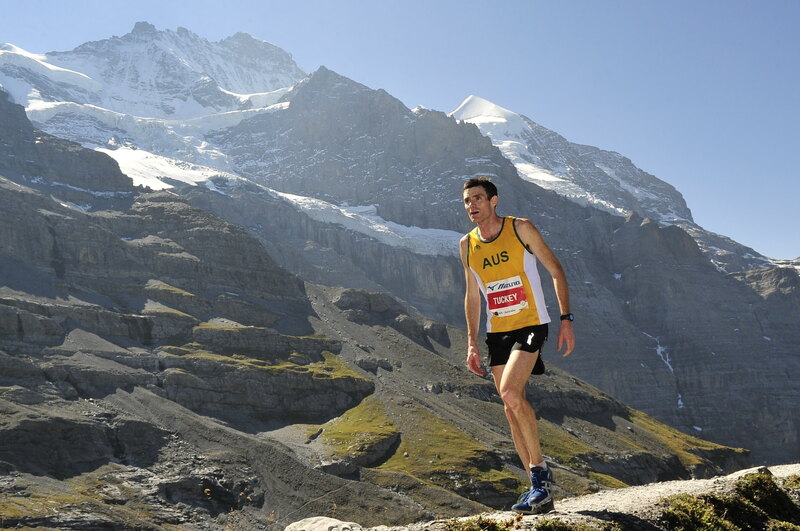 Ultra168 is extremely lucky to be able to partner with Hong Kong resident ultra runners Lloyd Belcher and Andre Blumberg to provide exclusive in-depth coverage of the 2013 Vibram HK100. Leading up to the event, over the next week, Andre and Lloyd will bring you a four-part series of pre-race interviews with some of the top podium contenders and also look into the crystal ball and chip in with our race predictions. They will also provide live race day coverage on Sat, 19 Jan 2013 through the established @Ultra168 Twitter (hashtag is #HK100) and Ultra 168 Facebook channels. 1. Andrew, whilst the HK100 is a very popular race in Asia, only half a dozen people based in Australia make the long journey up to Hong Kong to participate. How did you hear about HK100? What motivated you to take part? I saw a lot of talk about the 2012 race through Ultra168 and that got me interested. It looks like a tough 100k race with a good field and I really like Hong Kong so it’s been in the back of my mind as a race I’d like to do one day. I’m flying to the UK in January with my wife and kids and when we organised our stopover in HK I made sure I would be there to do the race. 2. How do you prepare for a race you haven’t done before and a course you haven’t seen? Do you adapt your training specifically? What about your mental preparation? It’s a tough one, I’ve spoken to Kiwi Grant Guise who ran in 2012 and he said there were a lot of stairs so the main plan was to just make sure I got some good training runs in with stairs. I’d planned on heading up to the Blue Mountains for a few training runs but I just haven’t had the time so have substituted this with running up the fire stairs in my office in Sydney (30 floors) a few times, not quite the same but definitely hard work. As far as mental preparation goes I’ll just be trying to keep pretty relaxed about everything, I usually know a lot of other runners in races so I can use them to check my pace but in HK I’ll just run to my plan and see how it goes. 3. Did you make a lot of changes in your general training when stepping up from the marathon to the 100k distance? How do you personally manage to combine the time commitments for training and racing ultras with a job and family? I’ve only done one 100k race so far so I’m definitely still trying to work out what the best training approach is. At the moment I haven’t really changed much from marathon training, I just try to get a couple of tough 40 – 50k long runs in the mountains (the Six Foot Track is a favourite) into my build up and generally run more on local hilly trails, I still like to do a couple of faster sessions during the week as well. Time management is one of the hardest things, I’m lucky that my job is flexible so I can take some longer lunch breaks during the week where I train with a big group of runners in Sydney called the HuRT Squad. I also run to work once or twice a week which is about 25km so that helps get the k’s up without taking up work or family time, long runs on weekends are just about getting up really early or fitting it in with family commitments. It helps that my wife is pretty understanding and lets me disappear for a few hours every Sunday for a run. The main thing is I know that if I miss a planned training run there will probably be no time to make it up later in the day. 4. What are your expectations for the race? How do you deal with the pressure of being one of the favourites for the podium? I’d like to think I can get into the Top 5 if I have a good race but I’m just not sure who else will be running. I trained pretty well for the Kepler Challenge in New Zealand early December, where I finished in 5th place overall, then had a couple of very easy weeks and now I’m just trying to carry that training through to HK. I’ve been pretty busy lately so a few training runs I had planned didn’t happen, It’s definitely not the preparation I would’ve planned but hopefully I’ll be going OK on race day. 5. Trail ultras are becoming very popular. More races, more participants, faster times. It’s a global phenomenon and we observe a similar boom both here in Hong Kong as well as in Australia. Why do you think that is and what do you make of it? For me, I turned to ultras for a new challenge. I’d run a lot of marathons and shorter distance races and felt like I’d plateaued a bit and now I’m enjoying the challenge of trying to work out how to run ultras. In general I think a lot of people are looking for the challenge of tough events, trail ultras as well as events like mud run and tough mudder. The challenge seems to be for race directors in how they handle the extra interest where entries are limited. 6. Apart from HK100, what else has 2013 in store for you? More marathons? Or a further step up to the 100 mile distance perhaps? Tell us about your plans. 2013 is pretty open at the moment; I’m heading to Wales with my wife and kids after HK and will be staying there until the European summer. 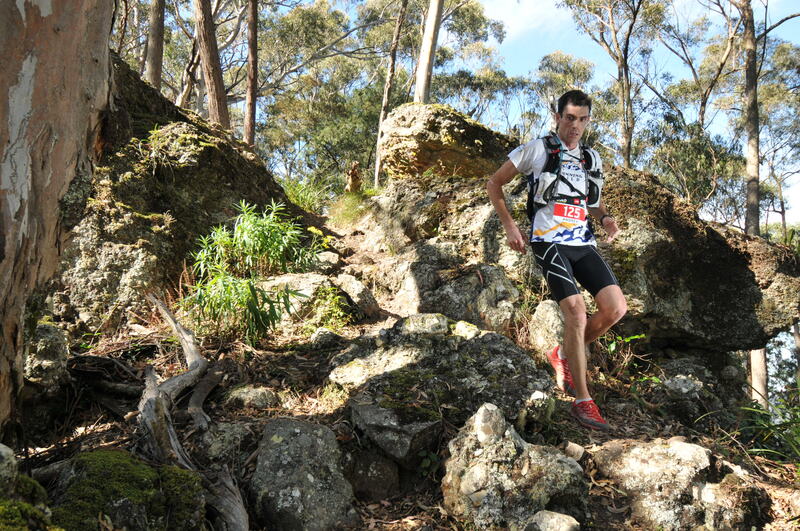 I’m planning on coming back to Australia for TNF100 in May then probably do some trail runs in Europe. Not sure which races yet but will try and get into UTMB, I think that has to be experienced while in Europe. I’ve also entered Berlin marathon with a few running buddies from Sydney, if I do UTMB then Berlin might be a bit messy. Thanks Andrew and good luck in Hong Kong! There are differing opinions among the ultra circles about which 100k race is harder, the TNF100 Australia or the HK100. Looking forward to hear your perspectives after the race. Next up we had a good chat to Stone Tsang Siu Keung, one of Hong Kong’s top trail runners and adventure racers. Stone is a Championship System Adventure sponsored athlete and has won many races locally and holds several course records. He also rose to international fame being the first Chinese ever to finish UTMB, which he then did twice more. Among many other achievements, Stone placed 3rd at the 2012 TNF100 in China and 2nd at the 2008 Gobi March 250km multi-day race, just 30 minutes behind winner Ryan Sandes. Stone and his North Face team members also placed 3rd in a stunning 11:52hrs at the recent Hong Kong Oxfam Trailwalker 100k race, beating the previous course record set by China’s People’s Liberations Army team. The HK100 and Trailwalker share about 60% of the course, so it’s very familiar territory for Stone who was born in China but grew up in Hong Kong. So much for the first in four parts of our exclusive HK100 pre-race coverage. Check back again in a couple days when we talk to Olya Korzh, one of the favourites for the women’s top spot as well as two of Team Vibram elites from Europe, Nicola Bassi and Sebastien Nien. Reblogged this on Running news from around the World.